This is book 3 in the Order of the MUSE series. 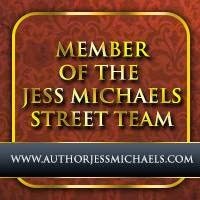 When Meg Anthony's criminal relatives are close to finding her, the Duke of Camden sends her to a remote castle in Wales to protect her from them. Meg's unique gift of "finding" things means that they will not give up easily. Meg is sent to the home of Lord Samuel Badewyn who is a Nephilim, part human and part fallen angel, as well as a watcher. Samuel is determined not to marry, but can't seem to fight his attraction to Meg. With multiple forces working against them, can these two find the love that they both desperately need? 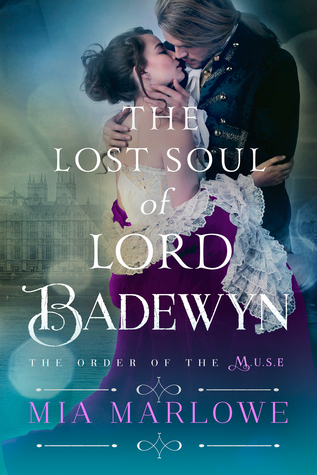 As with the other stories in the Order of the MUSE series, this is a paranormal historical romance. I didn't like this one as much as the others in the series, not because of the writing or story line, but because it has a little too much paranormal activities in it for my tastes. I've really liked Meg since the beginning of the series and its nice to see her get her HEA. She needed someone to care about her and only her, not someone that was using her for her abilities like her uncle and cousin were. Samuel was that man. He fought it as much as he could, but it was if there was a force pulling the two of them together. I have a feeling I know who will be the star of the next book in the series, but I guess I'll have to wait and see. Regardless, I am excited to see what Marlowe comes up with next!